Posted by Morten Rand-Hendriksen on December 10, 2009 at 9:18 pm. 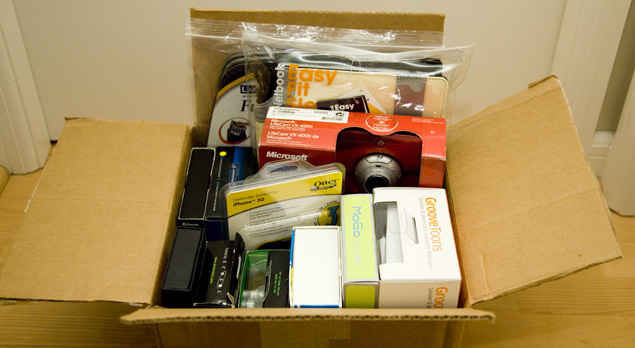 FutureLooks.com brought us a huge box full of digital goodies to give away as door prizes for the participants during the event on Saturday. Check out the image above for a sneak peek at the stuff you could walk away with. We extend a big thanks to Stephen Fung (follow him on Twitter @StephenFung) for his sponsorship and hope he has time to show off his photographic talents in our next photo marathon.